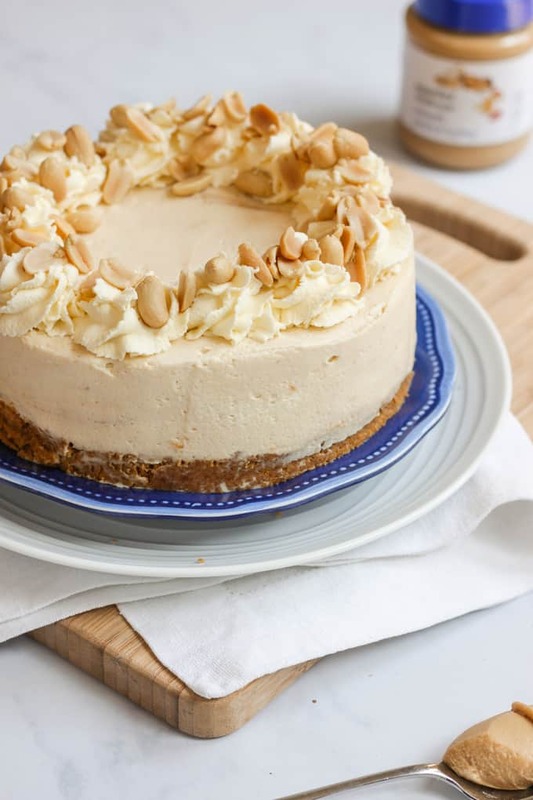 No Bake Frozen Peanut Butter Cheese Cake Recipe – Delicious dessert made with cream cheese and peanut butter on a buttery biscuit base. I feel that something’s been lacking around these parts lately. Yes my friends, another whopping cheesecake recipe. Because, once you find a dessert that’s super easy, no bake, a crowd pleaser and oh yes, bloomin’ delicious – you know you’re onto a winner. 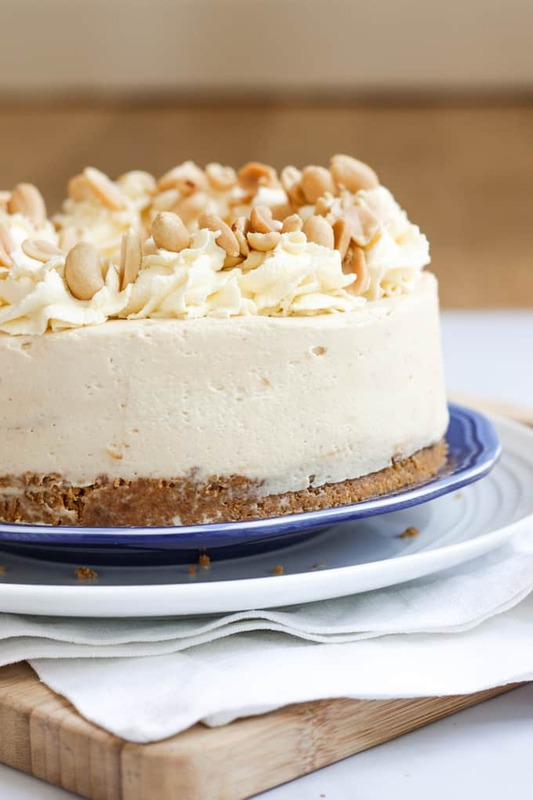 A Frozen Cheesecake and a Peanut Butter Cheesecake were inevitable at some point. 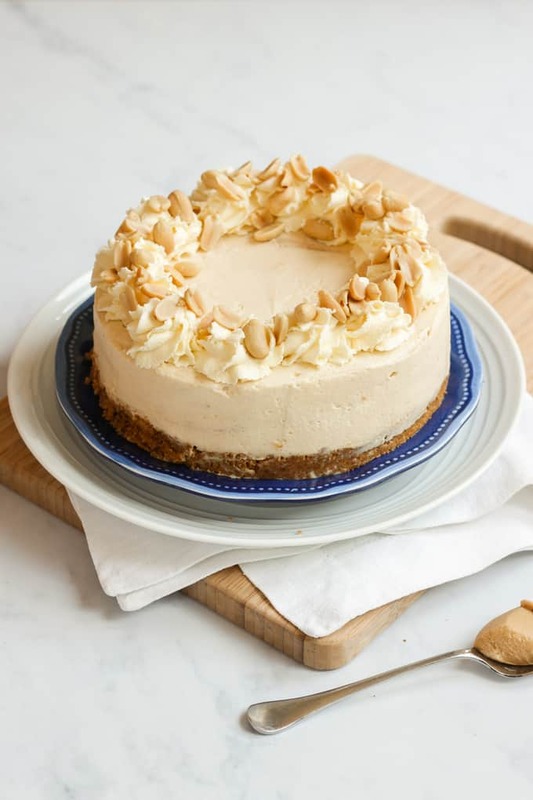 Frozen cheesecakes are a little more stable, without using gelatine (so suitable for vegetarians) and are a brilliant way of keeping a dessert ready and prepared in advance for a special dinner or meal. And peanut butter? As far as I am concerned, there can never be enough peanut butter in the world, so, this is a beautiful marriage. I made this cheesecake almost completely with ingredients from the essential Waitrose range. The essential Waitrose range, is a range of products which provide the quality you’d expect from Waitrose at prices you perhaps wouldn’t. 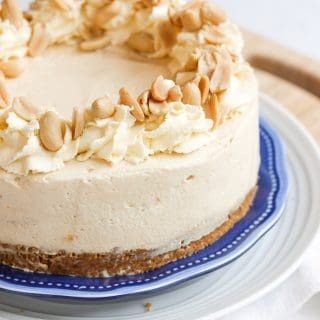 In this recipe I used essential Waitrose Gingernut biscuits, unsalted butter, cream cheese and of course peanut butter, amongst others. I was so impressed by the quality of everything we used. The roasted, salted peanuts for example were fantastic quality and absolutely delicious. 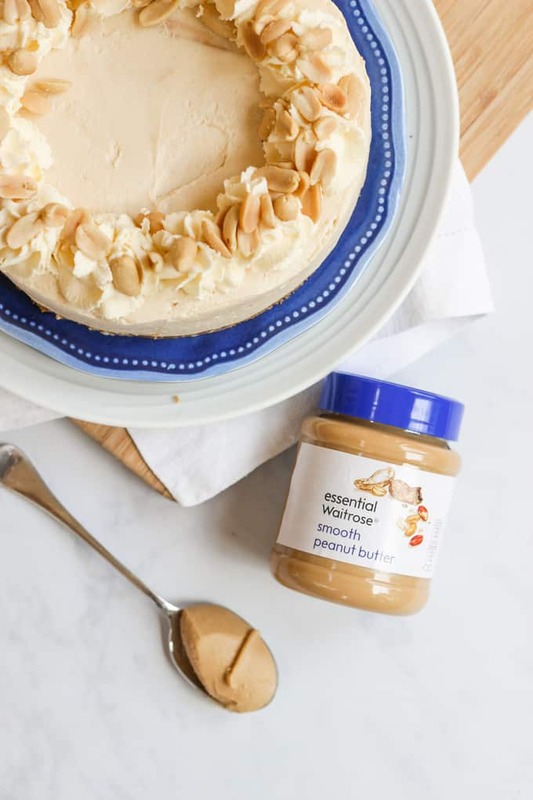 Even better news is that Waitrose have recently lowered hundreds of prices across the essential Waitrose range, whilst keeping the quality that you would expect from Waitrose. I’ll definitely be adding more of the white packaging to my basket in future. 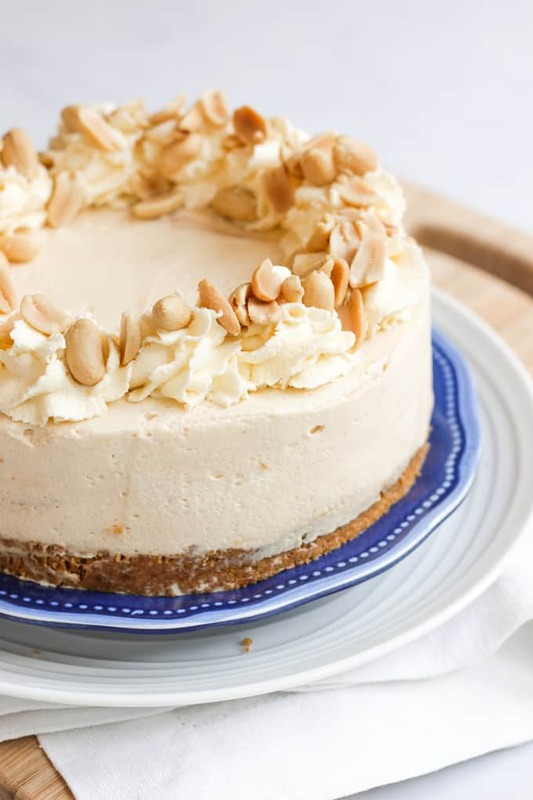 No Bake Frozen Peanut Butter Cheese Cake Recipe - Delicious dessert made with cream cheese and peanut butter on a buttery biscuit base. Meanwhile beat 450ml of the cream until stiff and mix with the icing sugar, cream cheese and peanut butter. When you want to serve the cheesecake, remove it from the freezer for about 30 minutes. Then decorate with the remaining cream, beaten until stiff, and the peanuts. Serve immediately. 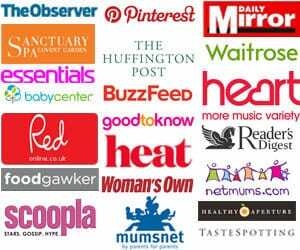 Disclosure: This post was sponsored by Waitrose but as always, all opinions are my own.